The signs posted Thursday on State Route 134 apply to a stretch running from State Route 2 in Glendale, through the Eagle Rock section of Los Angeles to Interstate 210 in Pasadena. The designation was authorized in 2017 when the Legislature signed off on a resolution introduced by state Sen. Anthony J. Portantino, a Democrat whose district includes the area. Littering IS allowed on that section of highway. With that name change, that stretch of road will be a new Bermuda Triangle. Its namesake was a disaster. 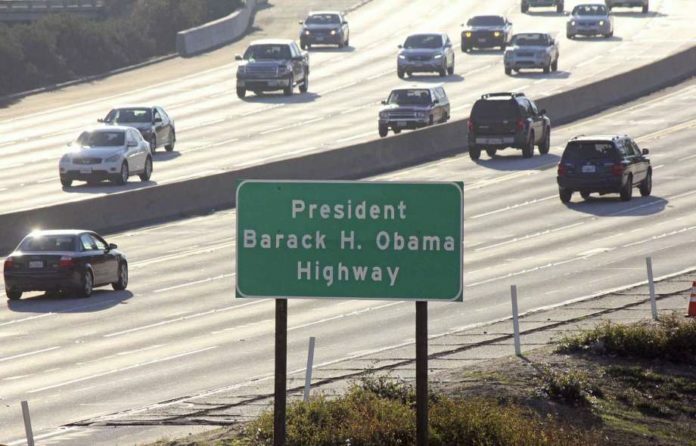 Why should that freeway be any different? Here in LA,being that our freeways are usualy a source of delay and frustration, we prefer to name them after bad things like diseases and tragedy. arizona, the old “Bermuda Triangle” was a myth. I don’t know whether Charles Berlitz personally invented it, but without him nobody would ever have heard about it. Note that since the advent of sattelite-based weather reports and GPS, there have been no more disappearances. That tells you what was responsible for the previous ones.